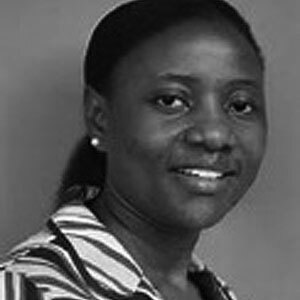 Fatia Kiyange is the Programmes Director at the African Palliative Care Association since 2010 and previously the Programmes Manager and Officer of the same organisation since 2005. She has worked in the area of palliative care and health for 18 years, including five years at Hospice Africa Uganda as the Education Administrator. Her role at APCA focuses on palliative care advocacy, policy development and implementation, education and training and programs design and management. She works with a team of staff at APCA to deliver technical assistance to national and local partners across Africa, including ministries of health and national palliative care associations, among others. Ms Kiyange is currently a member of the board of the Uganda Cancer Institute and member of the Advisory Committee of Global Partners in Care. She has previously served on several boards including: former president of the board of the Palliative Care Association of Uganda; member of International Trustees of the International Children’s Palliative Care Network and Vice president of the National Executive Committee of the National Association of Social Workers of Uganda. Ms. Kiyange is a Public Health Specialist and Social Worker with a Masters of Public Health with University College Cork, Ireland and a Post Graduate Certificate in Health Protection with the same University. She also holds a Master’s Degree in Social Sector Planning and Management of Makerere University, Kampala and a Bachelor of Arts Degree in Social Work and Social Administration of the same University.